the Climb-in-GYM Tour becomes global! Published by Mountainblog on 09/10/2018 . The company of Ziano di Fiemme that this year reaches the milestone of 90 years of activity, offers a revisited climb-in-GYM tour, expanded, that for the first time will across the Ocean. From September 4 to November 29, the tour will touch 16 countries and almost 70 gyms, giving the opportunity to try 3 new models of the climbing 2019 collection. 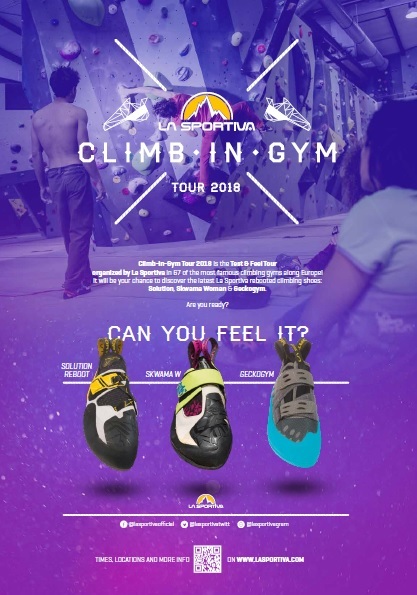 66 gyms, 3 new models to try in addition to the La Sportiva classics styles, and 16 countries involved for a third edition of Climb-in-GYM that for the first time goes overseas with the first Australian stages. 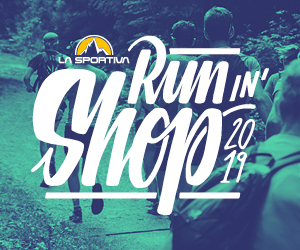 The ambitious carousel signed La Sportiva that every year comes with an ever-growing number of appointments, offers the opportunity to try the best products developed by the Italian brand directly in the most beautiful gyms in Europe and beyond. Unchanged in the style, this year the demo tour will be presented in a bigger format compared to what we were used to: from the 38 stages proposed in the first edition, we went to a program full of 66 events spread over sixteen countries after just two years. 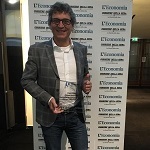 To the always present Italy, Austria, Germany, UK, France, Holland and Belgium, in 2017 were added also Spain, Portugal, Switzerland, Finland and Sweden, while the 2018 edition foresees the entry of Ukraine, Romania and Australia. Like every Test & Feel event, the purpose of this demo tour is not only to introduce the new products launched on the market, giving the possibility to test them in the gym just in time for the return at the indoor climbing after a summer spent at the crag. First of all, there is the desire to share the passion that drives the company in producing shoes since 1928, when the first pair of shoes were made in Val di Fiemme. This year on Tour there will be free to test, three new entries of the 2019 climbing collection, starting from the reboot of one of the most iconic La Sportiva models: Solution, revisited in design but not in the technical features, remained unchanged in order to avoid any disappoint from those who have always appreciated the original product. But also the new female version of Skwama, the climbing shoe with S-Heel technology released in 2016 that suddenly became one of the most popular models both on artificial walls and crags, renewed in structure and colours for the female climbers. The last new model to test during the tour is Gekogym, the entry level model with a high durability and no-marking sole, created especially for gym usage. 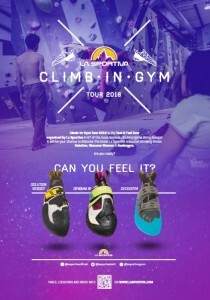 In addition to the new products, it will also be possible to try out the most classic models of the La Sportiva climbing line, in order to guarantee every climber, the right shoe for every style and technique. Discover the gym and the date most suitable for you, and from September 4 to November 29 don’t loose the chance to join the La Sportiva team for one of the stages of this sensational Global Climb-in-GYM Tour. For the attendees, a La Sportiva Anniversary t-shirt as a gift!